When it comes to candles, there’s not much that beats the ease of making them with beeswax. It’s as simple as rolling (that’s it!) 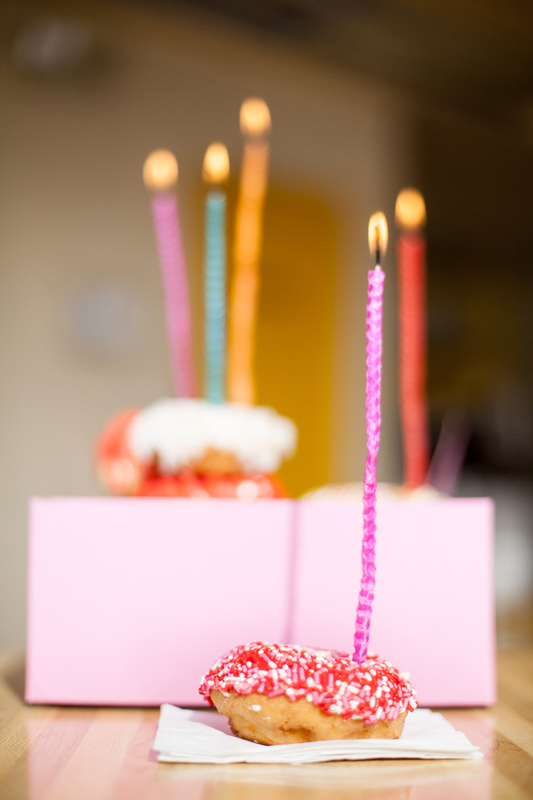 I love the look of crazy long birthday candles, and these birthday beeswax candles require almost no effort! 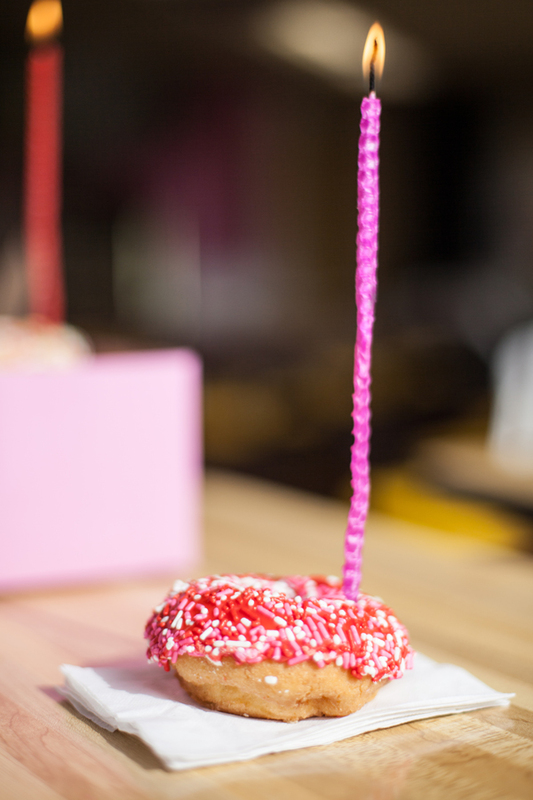 They’re bright, festive and will make every birthday seem supremely special. 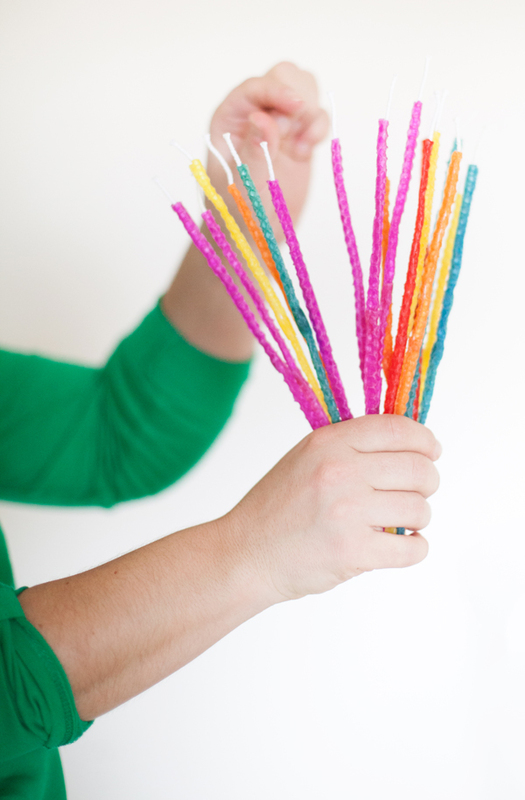 Going the DIY route to create your beeswax candles means you can make them ANY color and ANY size imaginable! I love how custom and creative you can get with this easy rolled beeswax candle project. Here’s the beeswax candle making kit I used, it comes with wicks included and makes about 50 of these fun rolled candles. 1. Divide the beeswax by color and cut each candle vertically into thirds – this gives the fun tall & skinny taper candle effect. 2. Next press the bottom of one piece together with the top of another, to form one extra long piece of wax. As it connects use your thumb to smooth out the wax. 3. Place the wick along the end closest to you and gently roll the candle together. 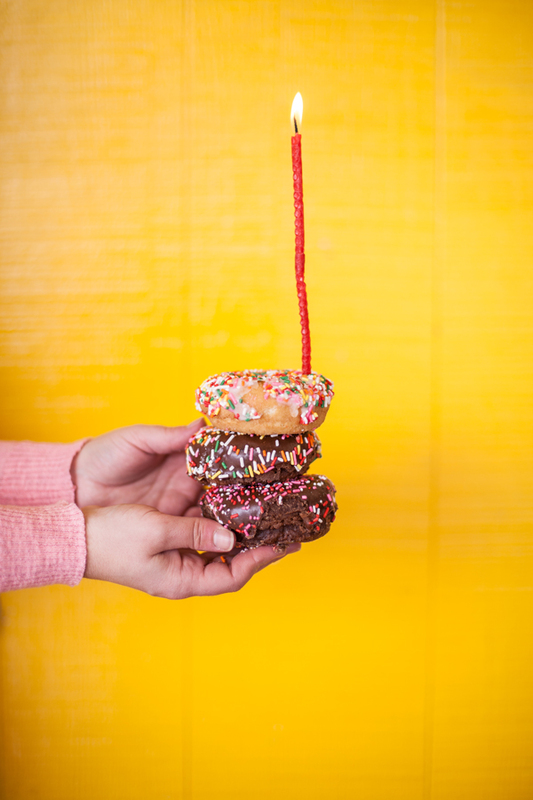 Place in a cake, on a stack of donuts, or just about anywhere for a birthday moment everyone will adore. 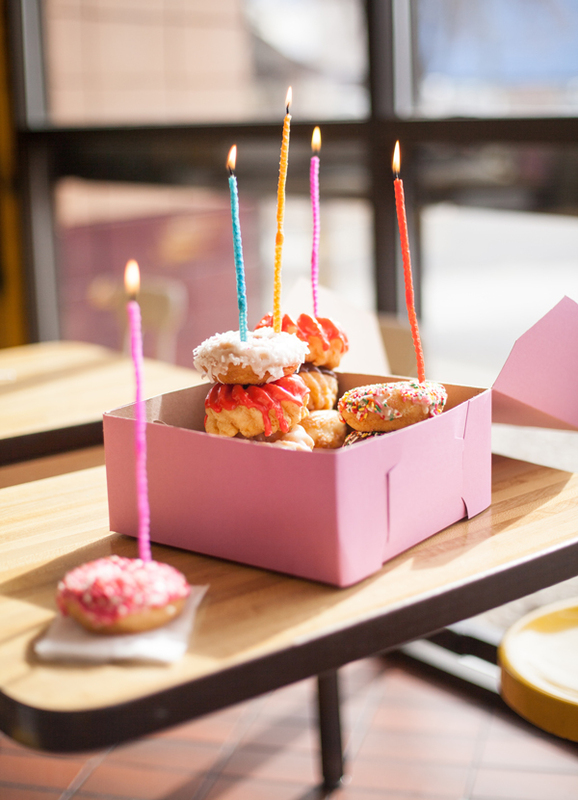 More birthday candles – right here. 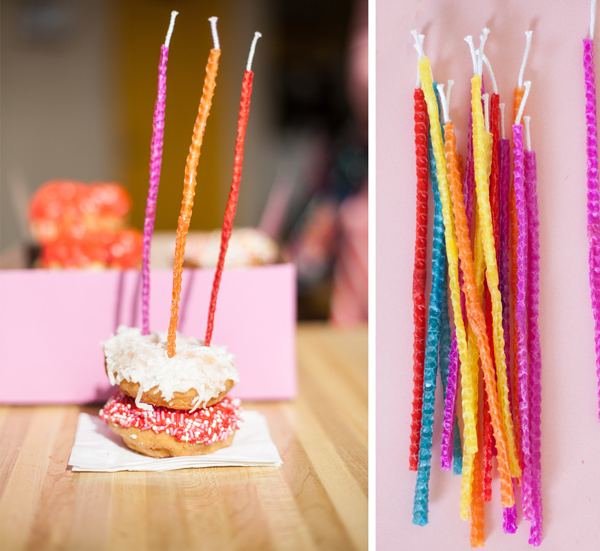 I almost passed this post by when I saw ‘beeswax candles’ because we made the tapers with my mom growing up- but these are amazing! I love how skinny they are. Just too cute. Colleen, Hi! 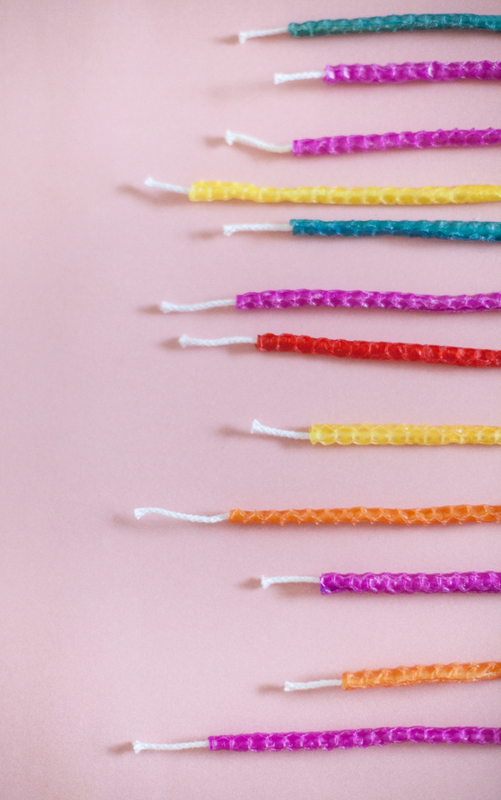 Yes – my entire goal with this project was to take a normal craft (like beeswax candles) and make them something completely different and fun :) Glad you popped in! What fun candles! I love how colorful and skinny they are. Oh these are gorgeous! I’m definitely going to make some. 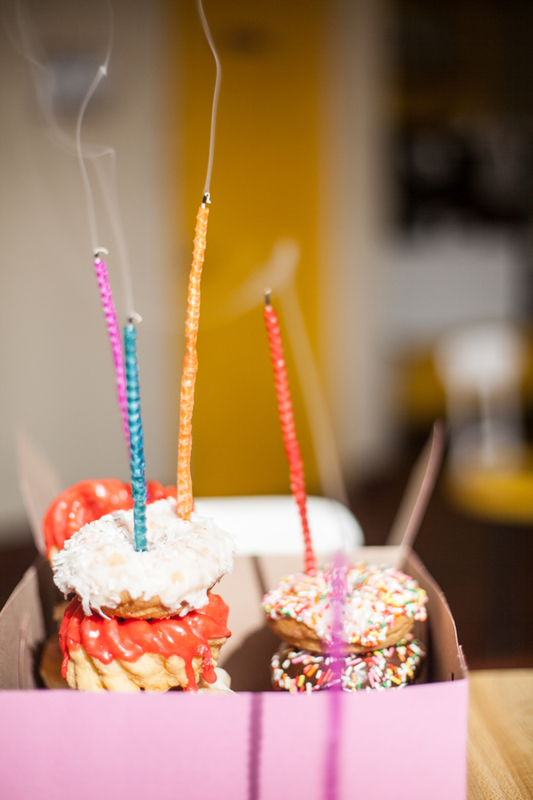 I’ve never thought to make my own birthday candles. I love these candles! 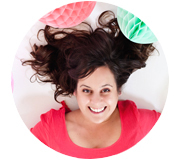 I would really like to mention this blog post with a picture and link in my blog. Would that be okay?